The Russian Defense Ministry will get the first serial Il-76MD-90A military transport plane next week, Russian aircraft manufacturer and design bureau Ilyushin said on Thursday. “The first serial plane is fully ready. It is expected to be handed over next week,” a company source told reporters. The company confirmed that no Il-76MD-90A planes have been handed over to the Russian Armed Forces since 2014. Prior to that, the military transport aviation of the Russian Aerospace Forces received two such aircraft as a pre-production delivery. A defense industry source told TASS that the use of those aircraft helped the makers to improve the first serial plane. Russian Deputy Prime Minister Yuri Borisov told reporters earlier on Thursday that before 2030, the Russian Defense Ministry plans to buy more than 100 Ilyushin Il-76MD-90A military transport aircraft, as well as aerial refueling tankers based on them. While visiting the Ulyanovsk-based Aviastar-SP factory that produces Il-76MD-90A planes, the Russian deputy premier said that under the state procurement order, three aircraft of this type were to be handed over to the Russian Defense Ministry last year. He confirmed that the company was about 3-4 months behind the delivery schedule. A special commission was set up to prevent such delays in future. 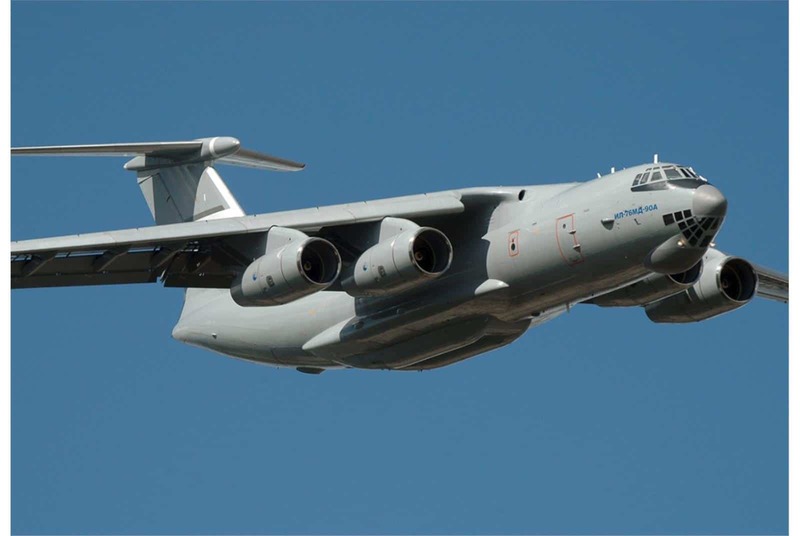 The Il-76MD-90A is a heavily upgraded version of the Il-76MD military transport plane. The plane’s new version is outfitted with the PS-90A-76 engines that help reduce fuel consumption by 10% The plane can carry a payload of 52 tonnes and operate at a distance of 5,000 km compared to 47 tonnes and 4,000 km, respectively, for the Il-76MD. It is capable of carrying a greater number of transportable and air-droppable military hardware. The upgraded plane is designated to transport heavy large-size hardware and cargoes, and also to land personnel, hardware and cargoes. The plane can also be used in disaster response, for example, for extinguishing fires. In October 2012, Russia’s Defense Ministry and the United Aircraft Corporation signed a contract worth 140 billion rubles ($2.1 billion) for the delivery of 39 Il-76MD-90A military transport planes to the Russian Armed Forces.